Tuff iTuck IWB Phone Concealed Holster | BUDK.com - Knives & Swords At The Lowest Prices! 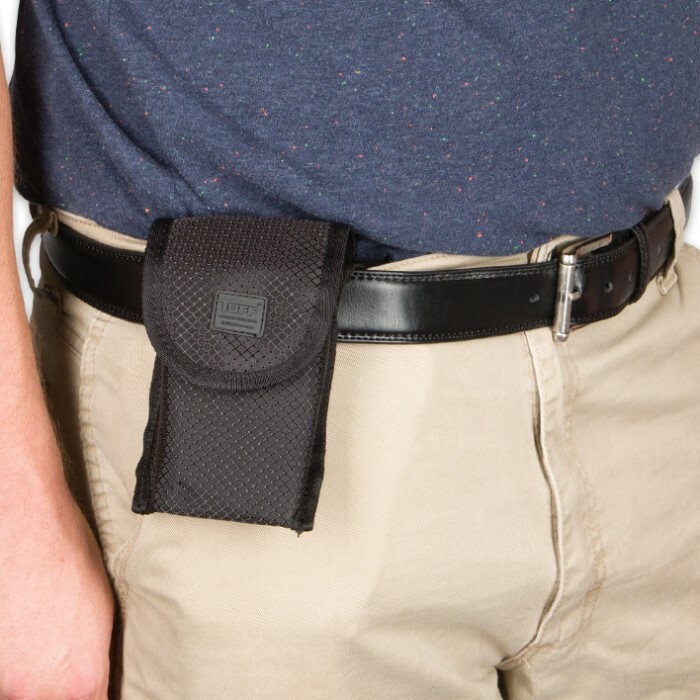 The iTuck Inside-the-Waist-Band Phone Concealed Holster from Tuff allows you to conveniently carry your mobile and conceal your firearm at the same time. 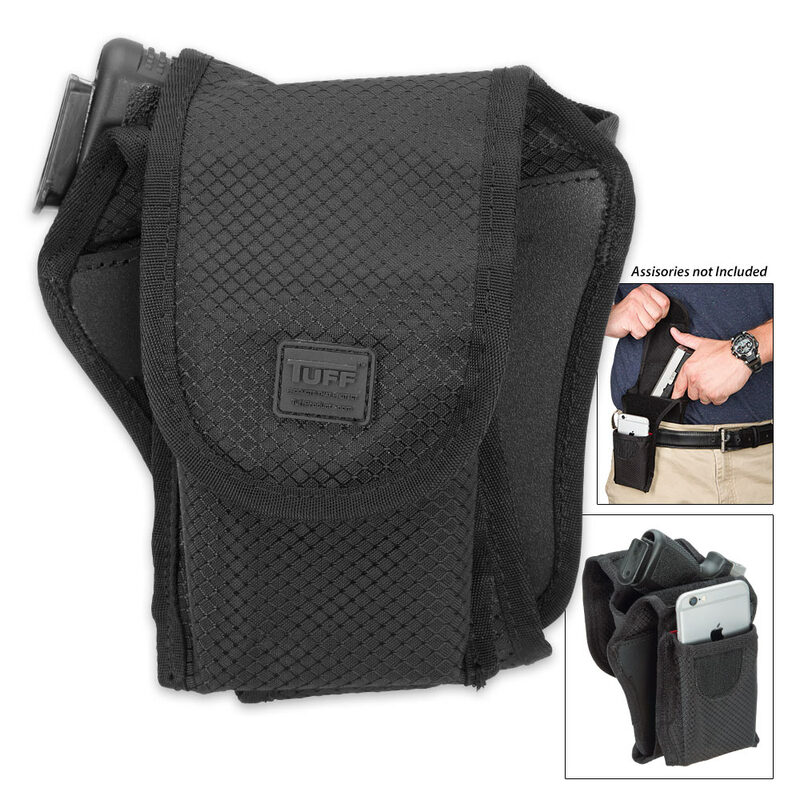 The hidden holster pocket fits a LCR, Glock 43 J Frame, SW 3913, PF9, PPKS, Sr9C, SS239, XDS45, Kahr PM9/40/45 and similar weapons. The case will hold an iPhone 4, 5, 6; Samsung Galaxy or similar sized mobile (up to 5 1/2” x 3 1/2” x 1”). It is constructed of diamond textured ripstop material. 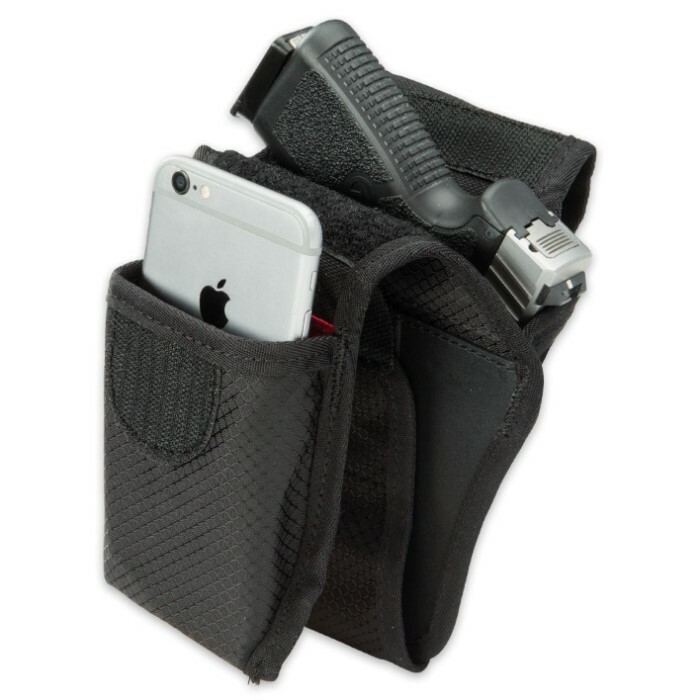 The phone case also features a pocket for a driver license, credit card and cash.